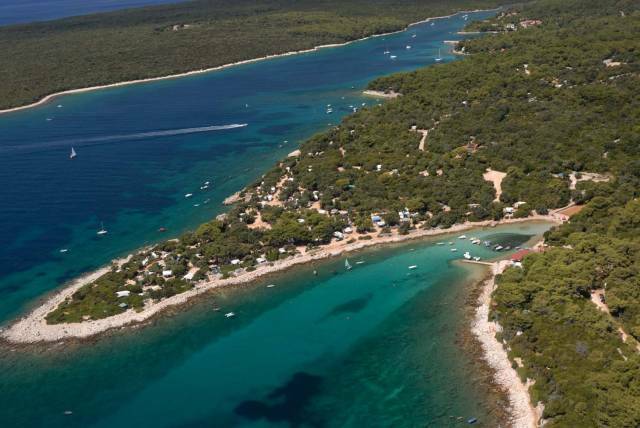 This camp is located on the southern part of island of Cres, between Bokinić and Baldarin coves - 15 km from the historic town of Osor and the main island road. 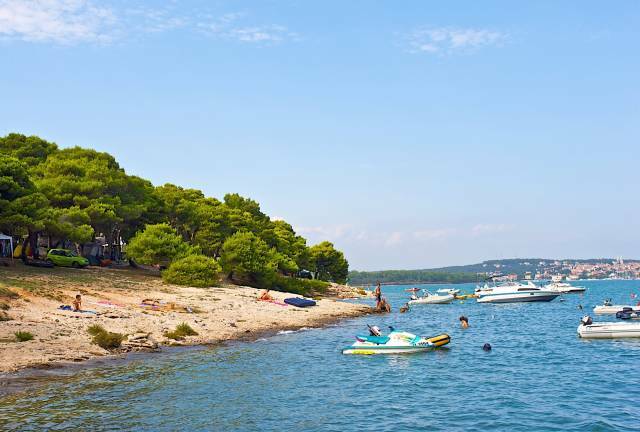 This is an oasis of tranquillity with beautiful beaches, hidden coves and crystal clear seas. 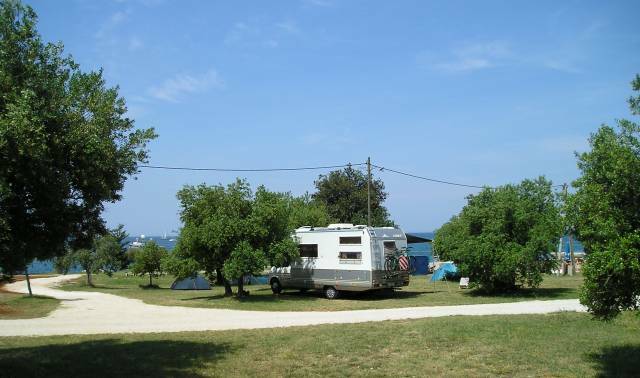 From the moment you discover the dense Mediterranean forest of coastal oaks with their fauna, you will stop thinking about the narrow and winding road you drove along to get here. It is quite possible that you'll be looking at does, deer or porcupines from your camping lot. A 2 km long, naturally rocky beach stretches between two pebbly coves where you can dive into the crystal clear sea and with any luck meet one of the 150 dolphins that live in these waters.